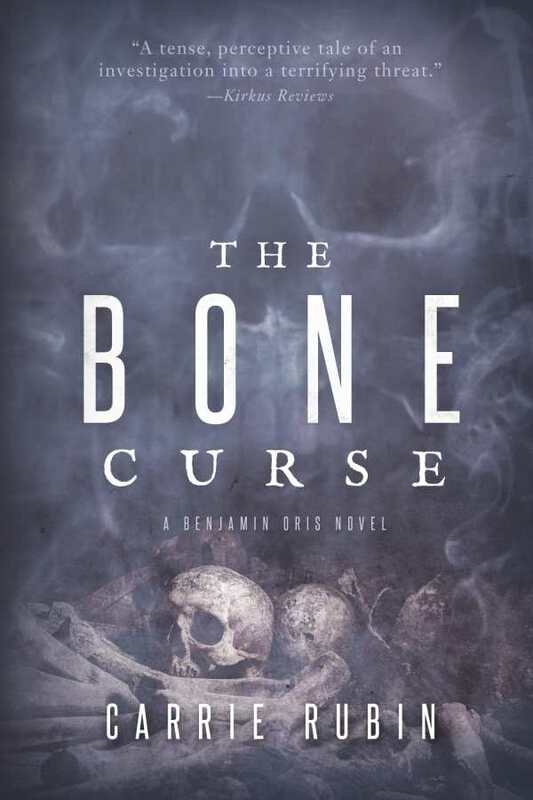 Carrie Rubin’s The Bone Curse supplements the usual medical thriller storyline with elements of Vodou and the occult. The result is a polished, entertaining novel. Ben Oris is an endearing med student who leans heavily on science as a life philosophy. On a trip to Paris with his Haitian friend Laurette, an ancient bone cuts Ben’s palm. What seems at first to be a simple laceration becomes horrifyingly suspect as Ben’s friends and family—people whom he cares about deeply—begin to drop dead around him, having contracted a vicious disease with no cure in sight. While Ben searches for a scientific solution, Laurette uses her experience with Haitian Vodou to propose a different answer: Ben is cursed. The Bone Curse tracks his quest to cure the people he loves, and perhaps himself in the process. Ben is a dimensional and appealing main character, complete with vices and virtues that compel interest. It is through Ben’s voice that the adeptness of Rubin’s prose is revealed most, through tight sentences and quick-witted humor. The rest of the cast is intriguing enough to hold attention, particularly when the pacing lags at the beginning. Developments are increasingly predictable, though when the novel steps outside of convention, it triumphs. Ben’s family structure is interesting—he has two gay dads and an absent biological mother. The history and culture of Haitian Vodou are compellingly introduced as well, with thorough research and respect. These aspects, which are more unexpected than not in the genre, are the most novel parts of an otherwise typical—but still engaging—read. The Bone Curse is a strong medical thriller––inclusive, skillfully written, and inviting.